Get ready to say 'Bye, Felicia' to everyday life and hello to Rome. If you've gotta get away, lastminute.com.au can help you lock in an absurdly good-looking rate on your accommodation (Felicias not included). With a whopping 1068 hotels within 2 kilometres of the CBD, the biggest problem you'll run into will be choosing the right one. Don't worry about FOMO — stay close to the hustle and bustle at the Rocco Forte Hotel De Russie and the Manfredi Luxury Apartments. 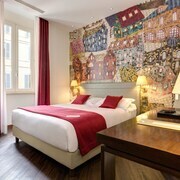 The First Roma and the Hotel Eden are also well worth your time. Found just 3 kilometres away from the middle of the city is Termini Central Station. It contains 440 available accommodation options. 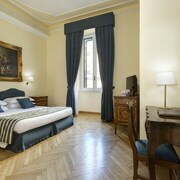 The Palazzo Montemartini and Rome Unique Colosseum Apartments are a couple of the places you can stay. Vatican, 2 kilometres from the city centre, is another well-known neighbourhood. 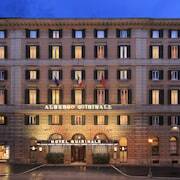 A few of the 451 hotels available here are the Gran Meliá Rome Villa Agrippina -The Leading Hotels of the World and Hotel Alimandi Vaticano. Stopping by St. Peter's Basilica is a must! Can you even say you holidayed in Rome if you don't mark it off? The Mood 44 and Daniel's Hotel are within a short stroll. Just drop off your bags and you can be there quick smart. Do you like the sound of the Bioparco di Roma? 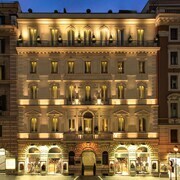 The Grand hotel via Veneto and the Palazzo Manfredi - Relais & Chateaux are both very close. How about Circus Maximus? This incredible attraction is near the Baglioni Hotel Regina and the Rome Marriott Grand Hotel Flora. If the National Gallery of Modern Art is on your must-see list, you might want to book a few nights at the Sina Bernini Bristol or the Hotel d’Inghilterra Roma – Starhotels Collezione. 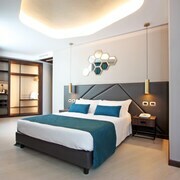 The Shangri La Corsetti and the ibis Styles Roma Eur also have rooms ready for those looking to chill out nearer to the Museum of Roman Civilization. Find a spot on a bench at Piazza della Repubblica and sit back as neighbours catch up, youngsters play and people walk their dogs. Hotel Raphaël-Relais & Châteaux and Residenza Ruspoli Bonaparte are a couple of legit options if you and your mates are eager to stay in the vicinity. Look around Imperial Fora, a memorable, old structure. See if you can tour the interior or just admire it from the outside. 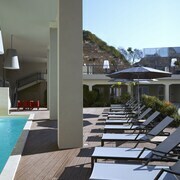 If you'd rather chill out near this attraction, have a squiz at the Grand Hotel De La Minerve and InterContinental De La Ville. Ciampino Airport lies 15 kilometres from the centre of Rome. If you're exhausted after the flight, you'll be over the moon to hear that there's some awesome accommodation nearby. The A casa di Anna e Tito and the Hotel Louis II are just a short ride away.